A table provides a visual grouping of information and gives more convenience for writer to modify and query data in table. In particular when you have a table with colorful cells, your document would be more attractive. 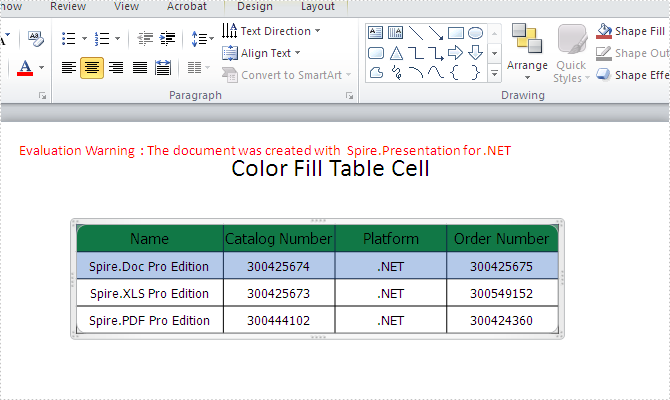 With the help of Spire.Presentation, developers can easily add tables and set table styles in PowerPoint document. This tutorial shows you how to fill the table cells with color in C#. Step 1: Create a presentation document and load the file from disk. Step 2: Fill the table cell with color. 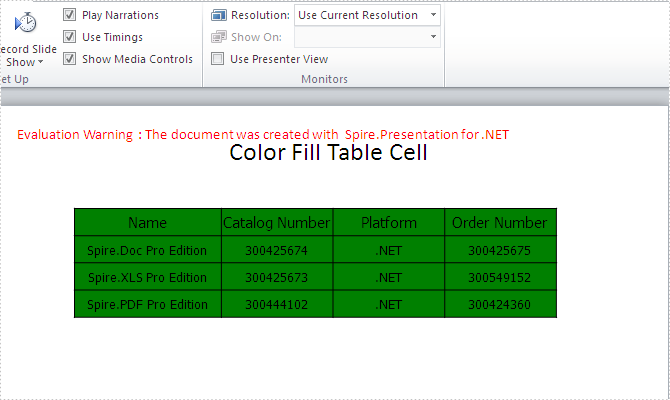 You can fill all the cells or only fill one single row of cell in table with color. Step 3: Save the presentation documents to file.